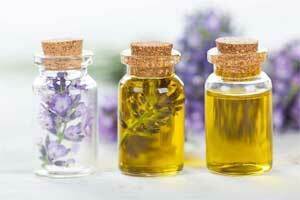 Lavender and tea tree oil are among the so-called essential oils that have become popular in the United States as alternatives for medical treatment, personal hygiene and cleaning products, and aromatherapy. Various consumer products contain lavender and tea tree oil, including some soaps, lotions, shampoos, hair-styling products, cologne and laundry detergents.Male gynecomastia occurring before puberty is relatively rare, but a growing amount of cases have been reported to coincide with topical exposure to lavender and tea tree oil, and the condition went away after the boys stopped using the oil-containing products.Therefore investigators at National Institute of Environmental Health Sciences (NIEHS) conducted a study and found that regular exposure to lavender or tea tree oil may lead to abnormal breast growth in young boys—called prepubertal gynecomastia as key chemicals in these common plant-derived oils act as endocrine-disrupting chemicals. The study results have been presented at ENDO 2018, the Endocrine Society’s 100th annual meeting in Chicago. “Our society deems essential oils as safe,” said study lead investigator J. Tyler Ramsey, a post-baccalaureate research fellow at the National Institute of Environmental Health Sciences (NIEHS), part of the National Institutes of Health. “However, they possess a diverse amount of chemicals and should be used with caution because some of these chemicals are potential endocrine disruptors.”An endocrine-disrupting chemical is a chemical in the environment that interferes with hormones and their actions in the body. Researchers at the NIEHS, including Kenneth Korach, Ph.D., a co-investigator for the new study, previously found laboratory evidence that lavender and tea tree oil have estrogenic (estrogen-like) properties and anti-androgenic (testosterone inhibiting-like) activities, meaning they compete or hinder the hormones that control male characteristics, which could affect puberty and growth. Under Korach’s direction, Ramsey and his NIEHS colleagues went a step further. From the hundreds of chemicals that comprise lavender and tea tree oil, they selected for analysis eight components that are common and mandated for inclusion in the oils. Four of the tested chemicals appear in both oils: eucalyptol, 4-terpineol, dipentene/limonene and alpha-terpineol. The others were in either oil: linalyl acetate, linalool, alpha-terpinene and gamma-terpinene. Using in vitro, or test tube, experiments, the researchers applied these chemicals to human cancer cells to measure changes of estrogen receptor- and androgen receptor-target genes and transcriptional activity. “Lavender oil and tea tree oil pose potential environmental health concerns and should be investigated further,” he said.